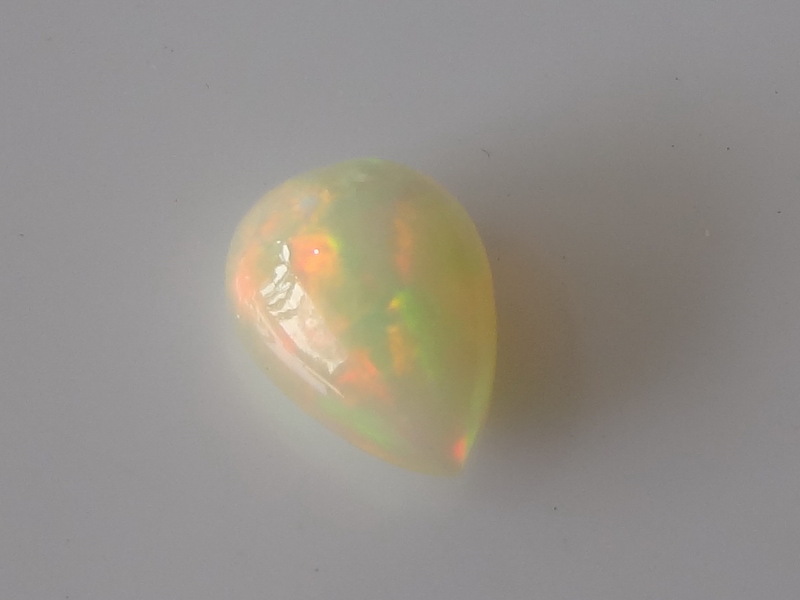 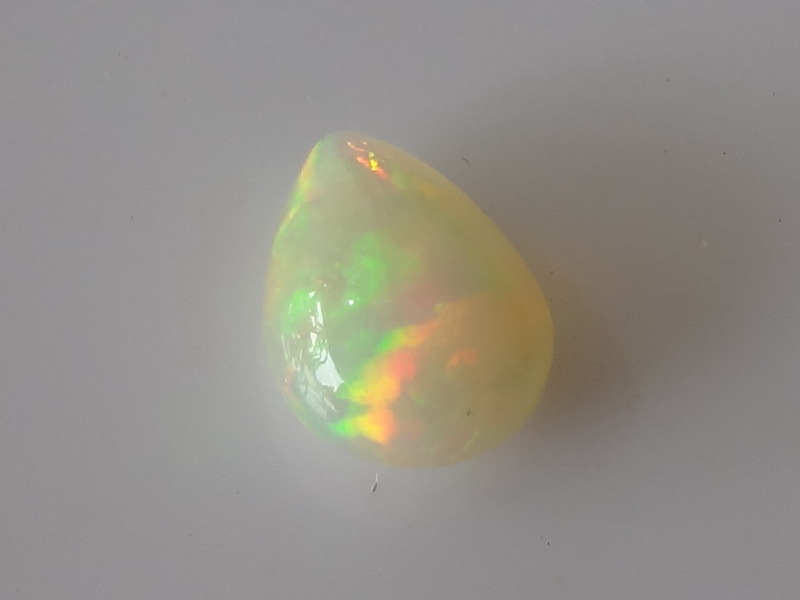 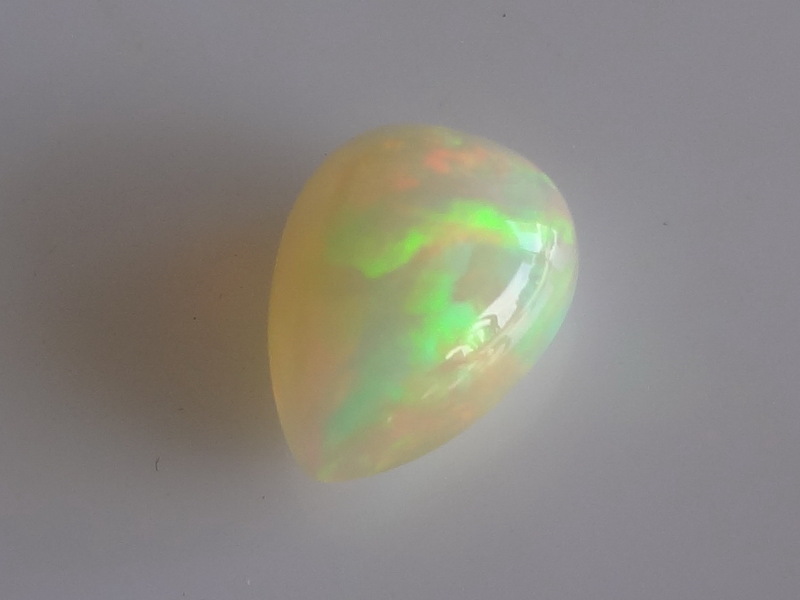 Pear shaped Welo Opal Cabochon from Ethiopia. 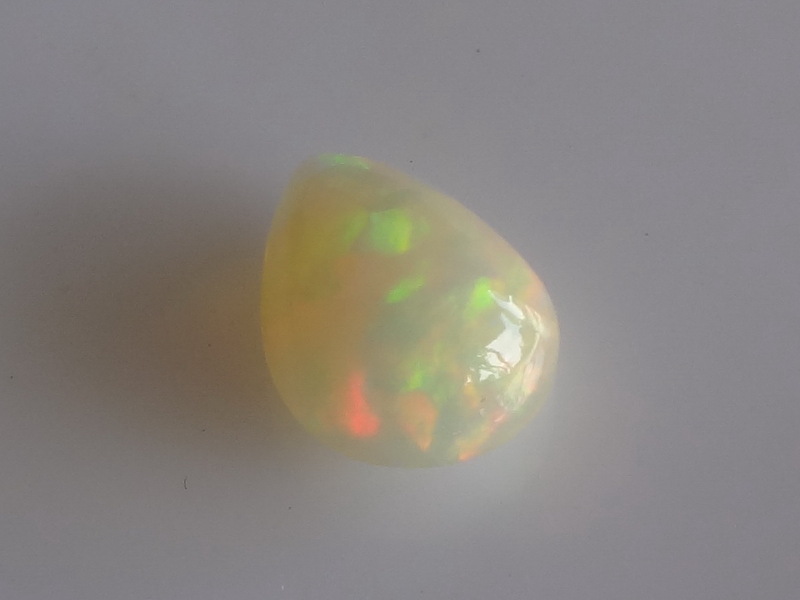 This is a quality Welo Opal, very colourful and well shaped with a nice polish. 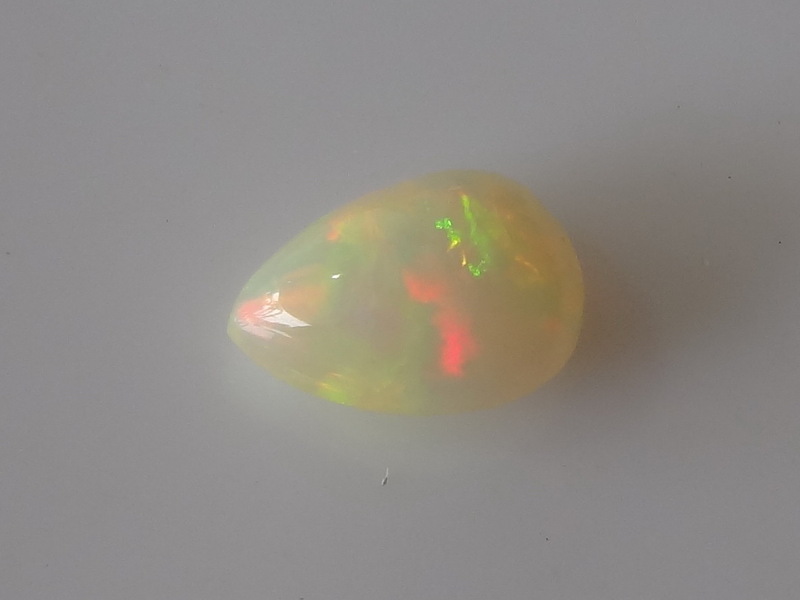 When I'm married I want my wife to wear this kind of stone when we go to a garden party. 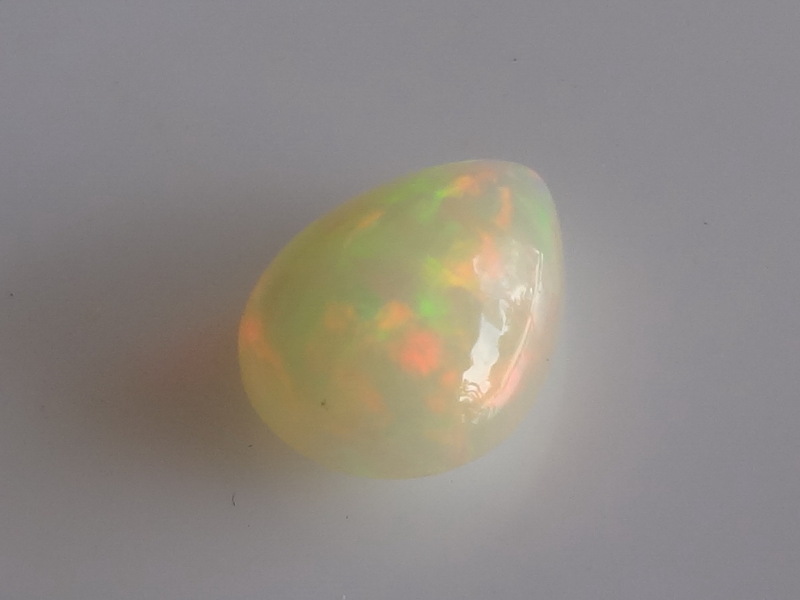 It is elegant and fresh, very attractive and young.